Sometimes, my view out my dining room window can’t be beat! 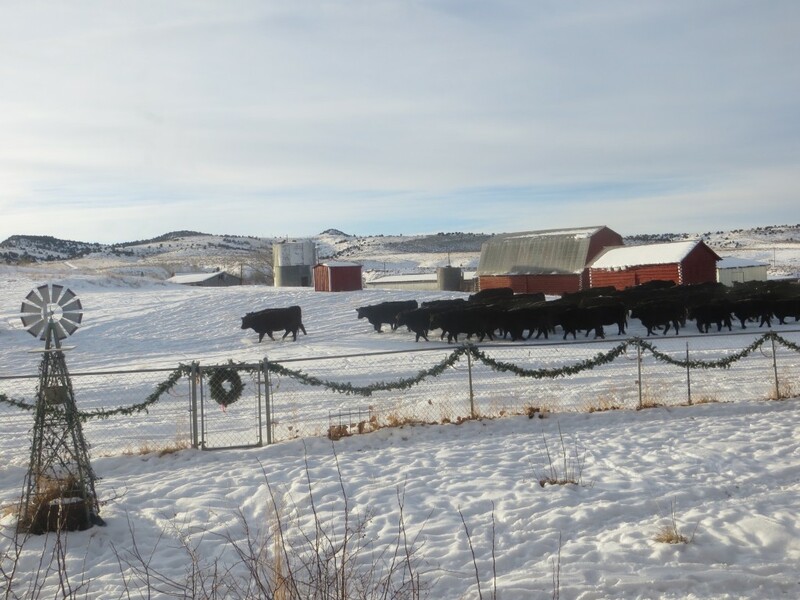 Just beautiful, the red barns, white snow and the black angus cows. Country living is the VERY BEST!!! Wow! Very nice. You live in an ideal place don’t you? Lovely view. I like your festive fence.